There’s Been an Episode VIII Wrap Party in London! Have You Felt It? While there still might be some minor Episode VIII filming happening in the next days, principle photography for Star Wars: Episode VIII is now officially finished. 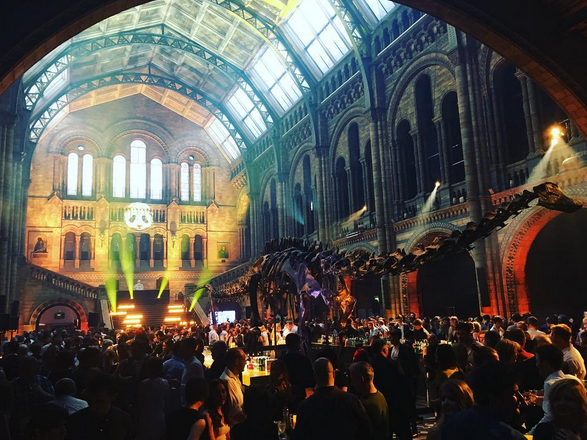 To celebrate the event, cast and crew gathered together for a special party yesterday at the National History Museum in London. Hit the jump for several photos from the event. Two weeks ago Mark Hamill posted on Twitter that Episode VIII filming will end on June 22. Yesterday the actor posted another tweet revealing that filming has already wrapped. Mark. Describe Episode 8 in one word. Very often wraps happen before the last days of shooting, since it’s based around the leads. It’s possible that some minor filming might take place in the following days, but the main job is done. Here are several photos from the event that we managed to find on Instagram. Seems like it was a lot of fun. Expectedly Mark Hamill was the most wanted cast member for selfies. Some shares from Pablo Hidalgo as well, who is already in London. Anthony Daniel definitely enjoyed the party, praises Episode VIII producer Ram Bergman. NEWS ALERT! Ep VIII’s exceptional cast & crew vote brilliant producer, Ram BEST WRAP PARTY GIVER OF THE YEAR. Almost as much fun as filming!